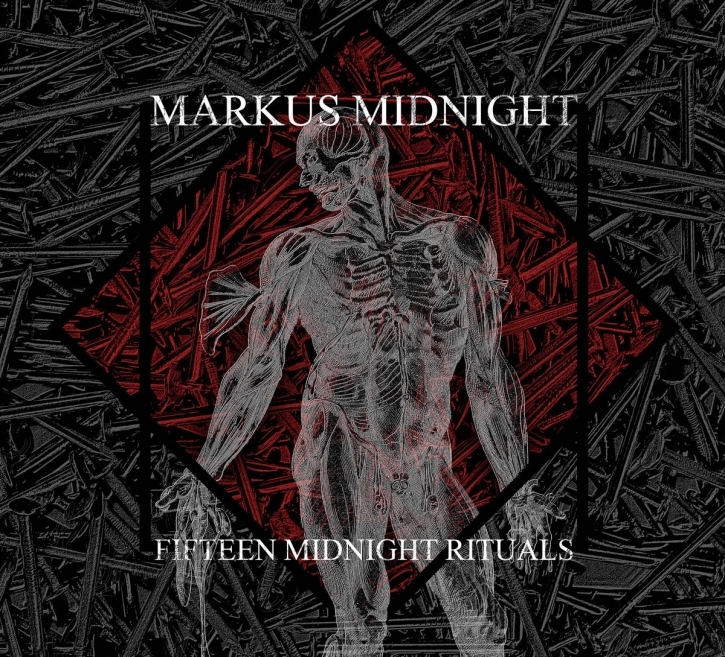 Fifteen Midnight Rituals is a collection of songs from a cold and brutal landscape, originally released over the years 20092017. In the beginning, Markus used only a couple of analog synthesizers and a broken drum machine. The songs from this time are immediate and raw - "The Fashion" is a song from the early era that features an aggressive vocal style rarely heard on subsequent releases. Over the years, Markus' sound expanded to include other sonic elements and occasionally shifted into a post-punk sound. This can be heard on songs from 20152016, namely "Every Sin is the Same" and "Poison Flower." This CD compilation also features two unreleased songs: "Lost Again" shows further post-punk and new wave influences and was originally recorded in 2015. "Black Ice," from 2017, shows an entirely new electronic direction with no bass or guitar to be found. While the sound of Markus Midnight has changed over the years, there remain constant themes of electronic beats, depressive vocals, and cold synthesizer sequences. This CD is a highly recommended collection of songs that shows Markus' musical progression!